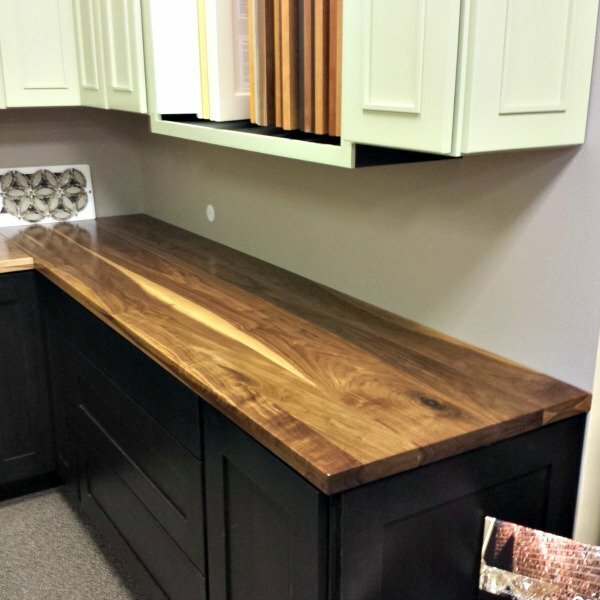 The rich look and warmth of Wood Counter Tops help transform a cool kitchen or office space into a warm and friendly space. 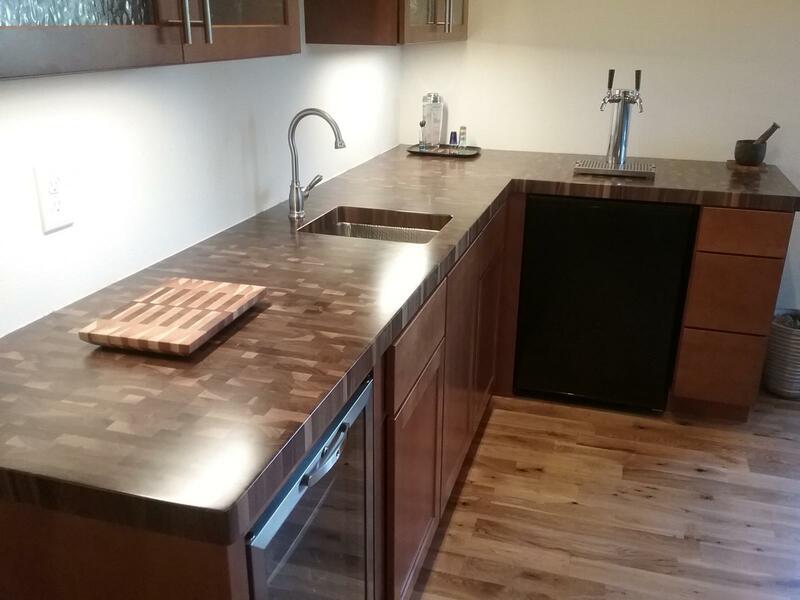 Granite kitchen counters, for example, can be gorgeous but leave this natural gathering space feeling a bit cold and well, hard. 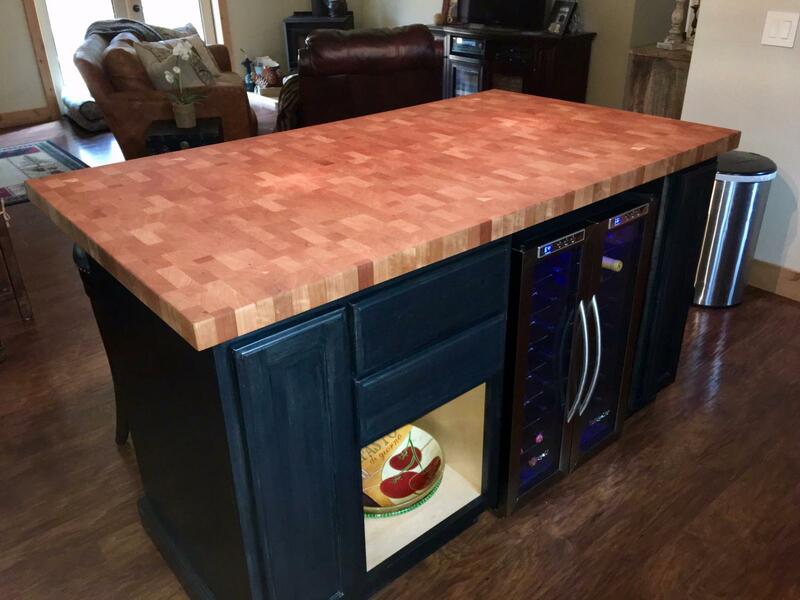 Replacing your island counter top with a beautiful wood top is an easy way to warm up your kitchen and transform your island into the dramatic focal point. 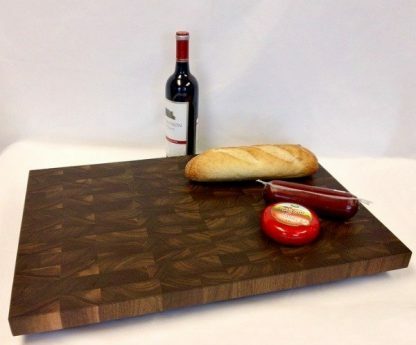 For tops that will be cut on we recommend our end grain butcher block style in walnut, cherry or maple. 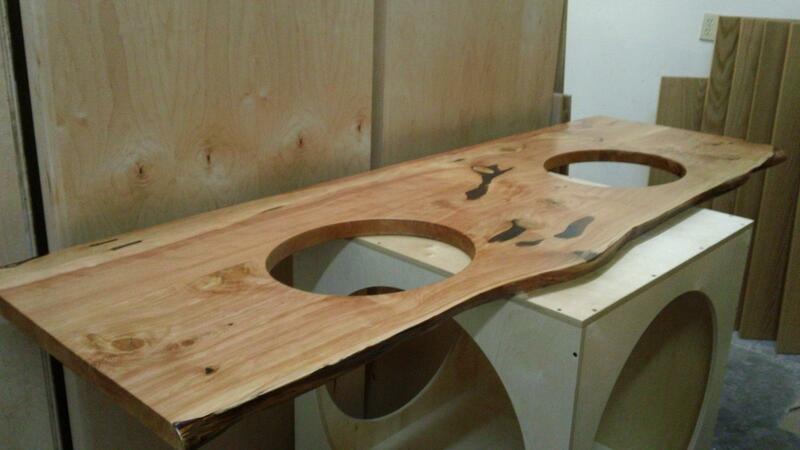 Finished with a food grade blend of mineral oil and natural waxes, these tops are designed to be cut directly on. 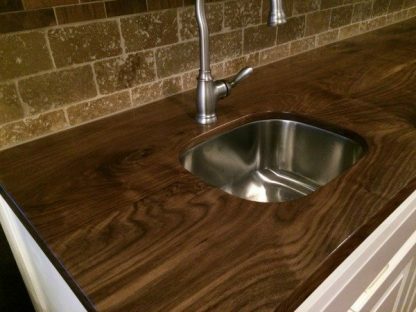 Want wood counters throughout your kitchen? 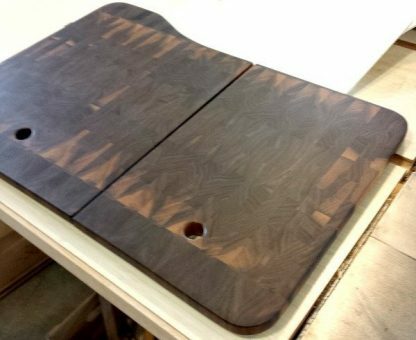 Our flat grain and edge grain counters are finished with a two part conversion varnish, the same finish we use on restaurant tables. This durable finish resists scratching and, solvents and cleaning chemicals like alcohol and bleach. 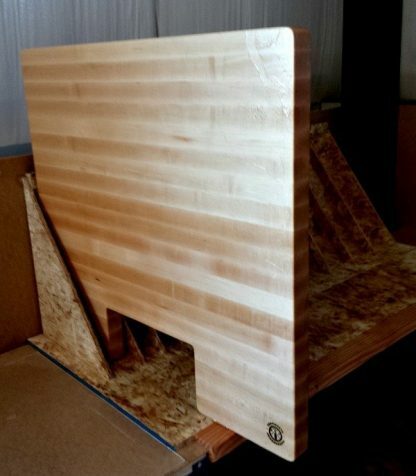 Wood counter tops feel like a bit much? Check out our sink insert and on-counter cutting boards and butcher blocks! Call us for quotes or to ask questions. 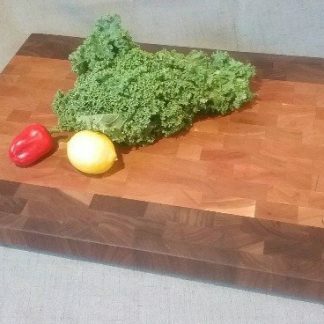 For tops that will be cut on we recommend our end grain butcher block style in walnut, cherry or maple. Finished with a food grade blend of mineral oil and natural waxes. 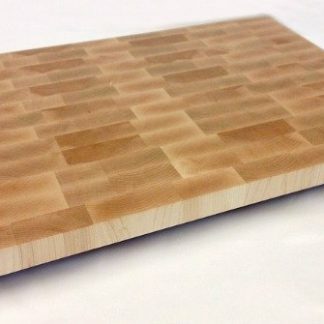 These end grain tops are designed to be cut directly on. Want wood counters throughout your kitchen? 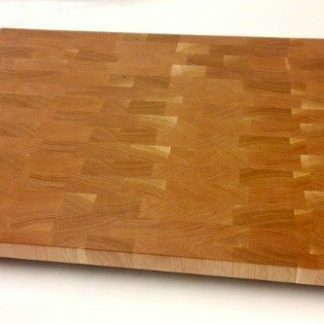 Our flat grain and edge grain counters are finished with a two-part conversion varnish, the same finish we use on restaurant tables. This durable finish resists scratching and, solvents and cleaning chemicals like alcohol and bleach. Wood countertops feel like a bit much? Check out our sink insert and on-counter cutting boards and butcher blocks! Call us for quotes or to ask questions.